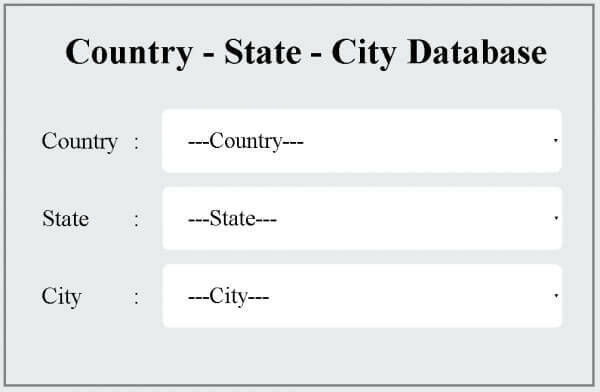 Are you looking for world state city database? Hi, I really like your script I am very happy with this script and your client response. Actually much easier than I thought it would be to work with. I really appreciated for this team particularly immediate response for all my queries regarding this script. Very good technical support, this script was too good and the code looks simple and easy for beginners to use overall satisfied to with this great extent.